Although a young firm, M&S considers themselves to be one of Luxembourg’s leading specialists with respect to corporate law and M&A. M&S was appointed Corporate Law Firm of the Year 2013 by Global Law Experts and we have been recommended by The Legal 500. We have the expertise and capacity to handle both mergers and acquisitions as well as assisting in all stages of a transaction. Our clients include large and medium-sized international companies, Luxembourg and international investment banks, private equity funds and venture capital companies, Luxembourg and foreign banks, financing companies and leasing companies as well as foreign law firms. We have developed efficient cooperation models and during a transaction we are generally in close contact with accountants, investment bankers, management consultants, trust companies insurance advisors, financial advisors and lawyers in other countries. Our objective is always to ensure the optimum result for the client by providing proactive, cost-effective and valuable advice. Our work is often reviewed by major legal lawyer services such Legal 500 and Chambers Europe.  ‘Very pleasant to deal with’, the law firm fields the popular Joram Moyal, who demonstrates ‘strong commitment and extensive industry knowledge’ and ‘gets the job done’, while Philipp Simon ‘is strong on strategy and negotiation’. The team often acts on €50m-plus deals. Often both the seller and purchaser perform due diligence investigations of the business in question in order to uncover particular issues that should be taken into account in the contemplated transfer and the related risks. The due diligence process caters to amplify the knowledge of the business and the report material represents a valuable tool in optimizing the business’ legal affairs and in the negotiation of a possible transfer agreement. The general object of a due diligence exercise is to avoid any unpleasant surprises later on in the process – and particularly after the completion of the transaction – which could result in a dispute between the seller and their purchaser. We have unrivalled expertise and experience in legal due diligence examinations; whether we are providing assistance to a seller in establishing and structuring the data room and planning the due diligence process or assisting a purchaser with examining the business in question. A vendor due diligence can be useful in certain transactions. To ensure cost-effectiveness and the right qualifications at any time, a due diligence exercise will usually involve lawyers from one or several of MMS specialist groups. We always make sure that the work is handled by lawyers with the right seniority and expertise. The level of reporting required by the client varies. A more detailed reporting level typically entails a longer period of investigation. As a consequence, we always provide the best possible advice in accordance with the level of reporting that is most advantageous and useful for the client in the situation in question – also from a commercial point of view. We strive to provide an all-encompassing service. This will include drafting shareholders’ agreements, particularly focusing on an investor’s or joint venture partners’ exit options, drafting merger or demerger plans as well as communicating with the relevant Luxembourg and foreign authorities that are to approve or be notified of a transaction. Following this, we draft (intra-group) transfer agreements in relation to the restructuring of a group. We advise private and public enterprises, financial institutions, private equity houses and venture funds with such transactions in all lines of business and sectors. M&S has an unrivalled expertise and extensive experience that ensures our clients receive the best legal and commercial service. A management buy-out consists of a company’s management, alone or together with one or several investors that acquires the business. We have specialised expertise and broad experience in representing both the seller and buyer in a management buy-out. We are therefore able to provide the legal and commercial tools required to complete a well-planned, efficient and successful process.